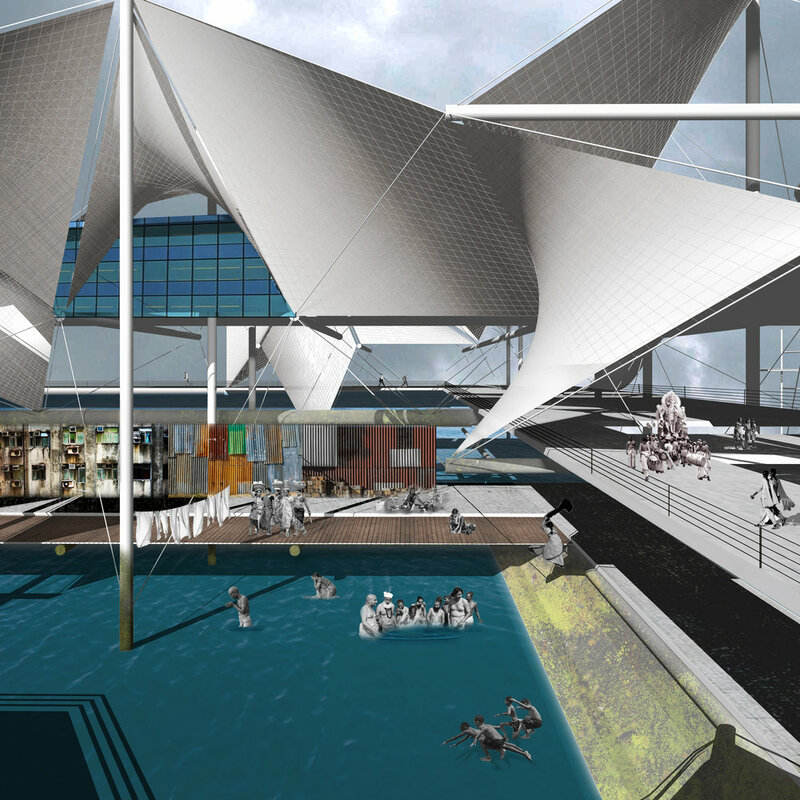 This project proposes a new architecture and urbanism for the polluted Bellandur lake, in the city of Bangalore, India. The Bellandur lake is the largest of a network of lakes that supplies fresh water to the city. Due to rapid expansion, many of these lakes are paved over or polluted by untreated sewage and industrial waste. The condition of the lake periodically manifests as white, toxic, and carcinogenic foam that blows over the city. 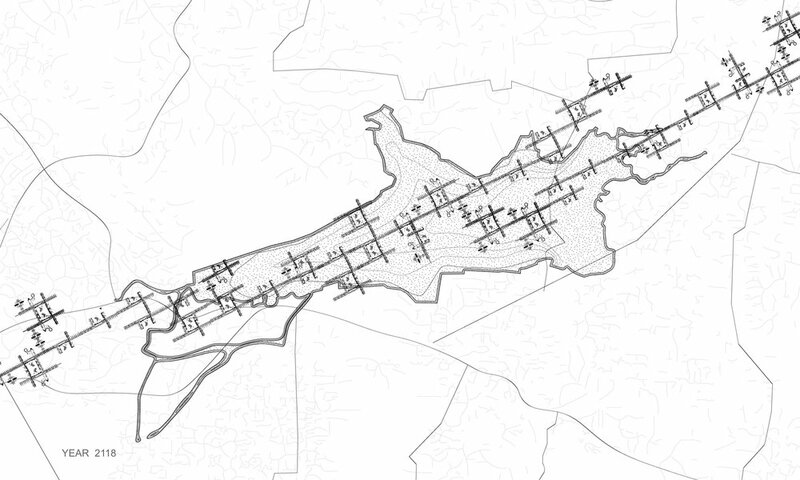 Remediation efforts are too slow, expensive, and ineffective, and the lake continues to be a threat to the city which faces drought conditions every year. Questioning the tendency to marginalize these unnatural and toxic environments of industrial urban life, this project proposes a series of elevated platforms and urban corridors that utilize a tensegrity structural system to protect from the toxic environment yet also reveal its sublime nature. The structures create protected lagoons that help remediate the water crisis by collecting fresh water. 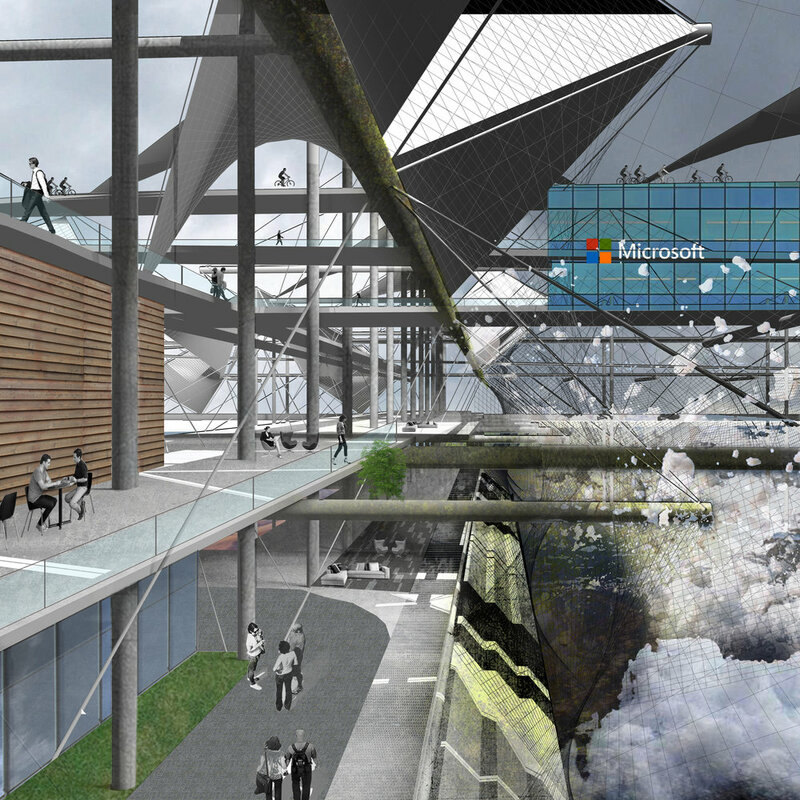 It explores the architectural opportunities of quarantine and proposes a new model for urbanism in extreme environments where architecture allows the city to reconnect with the lake.